 Nice placesubmitted by KRYSTAL M. - Dec 31, 2018 |Recommended: YesMy overall experience at the Camelot for the most part has been pleasant. I love my apartment and the neighborhood. The staff is pretty friendly however there are somethings that can be disturbing. I live on the first floor so the neighbors above us are very loud and heavy footed. You can literally hear every time they move. Maintenance could be better there have been times I had to call multiple times to get a order done. However there is one maintenance man named Adam that is great. He is fast and proficient and very friendly. Parking is decent. Overall nice place to live. Overall, nice communitysubmitted by - Dec 05, 2018 |Recommended: YesNice community overall. Lately, there is lots of trash in the breezeways and stairs. I can hear my upstairs neighbors clearly like they are in the same room with me. Nothing is done by the management. Nice place to livesubmitted by David S. - Dec 01, 2018 |Recommended: YesEnjoy living here. Layout of apartment is perfect for needs. However, noise from rooms above are way too loud. Incredible to live insubmitted by Tiago R. - Aug 31, 2018 |Recommended: Yesi would say that it is the best place to live. Its oksubmitted by Elizabeth T. - Aug 27, 2018 |Recommended: NoI would say that you may come home and not be able to park near you building. I have been living here since 2011 and I don't think its fair that I can not park near my home when I get in late at night from working two jobs. They should begin assigning parking spots to the tenants, and it should be based on seniority. People that don't live here should park their cars in a designated parking space so the people that pay rent can have a place to park. Also, the maintenance guy Adam, has been absolutely great when it comes to timely repairs. He is helpful, and knowledgeable. He is one of the best maintenance guys I have seen in any apartment complex that I have encountered. Nice location with easy assess ability to everythingsubmitted by Natasha M. - Jul 01, 2018 |Recommended: YesA very nice neighbor, mostly quiet, even though there are young children throughout the complex. I would not recommend living on the first floor, because you can hear EVERY footstep the upstairs neighbors make. Worked for us because of a few great peoplesubmitted by Ayanna P. - Jun 27, 2018 |Recommended: YesI liked living here. We have lived here for about 4 years and are leaving because we need more space. Our corner apartment has great windows and light and a fairly large common area that accommodated our furniture well. We've never had a problem parking here nor any issue with theft or vandalism of our property. The pool and gym are also nice perks for when we can't make it to the Y. The ratings that I offer are specific to our experience living in a ground floor apartment. We regularly hear foot traffic from both our upstairs neighbors and from anyone walking too hard coming downstairs from the upper floors. There is one maintenance person here, Adam, who is awesome. He works hard to support the tenants here and cares about your living conditions. In my experience, he goes above and beyond his work responsibilities. There is also a front office staff member, Mark, who is caring and has helped make our stay here great. There are 2 less than great issues I'll share. 1. Other renters in and around my building fail to pick up after their dogs at times which makes playing outside in the common grass areas a bit unnerving. It would be nice if the fee structure for leaving dog poop in the common areas was enforced or if dog owners were relegated to a dog park for curbing their pets. 2. The small playground that is in the complex is not always weeded and kept up. It would be nice if that was a regular part of the groundskeepers' job so that our kids could play here without running through tall grass and weeds. Goodsubmitted by Timothy G. - Jun 10, 2018 |Recommended: Yesit's a great place to live. i've called a few times for maintenance and ended up having to fix it myself but other than that i love living here. the neighborhood is great and management does not bother you much. i'd recommend it over other complexes. Nice place but terrible maintenance workflowsubmitted by Ivan - Apr 27, 2018 |Recommended: YesThis review is a long time overdue. PROS Certainly beautiful complex. Never got to truly enjoy any of the amenities during our 3 years stay there, but they were available nevertheless. Very spacious and pretty clean. Ample parking space, guests never have to worry about where to park. Some staff members, if you happen to catch them in the office are really nice Dee Mark CONS Maintenance, Maintenance, Maintenance Good luck catching or ever seeing any of the maintenance people smh. It doesn't matter how you schedule or put a work order phone, email, office...they never show up. After enough complaining to the office was actually told maintenance is a separate and independent department I got one thing fixed out of 4, and they told me I needed to put in new requests for the other 3... Another con is the fact that it's pretty hard to catch anyone in that office, and nearly impossible to ever meet the manager. Love it Great space.submitted by Angelica R. - Mar 01, 2018 |Recommended: YesVery spacious and updated. I can hear the neighbors upstairs which is a little annoying but other than that I love it. Especially the location.